A few weeks ago, I got a chance to spend three wonderful days in Belfast. It was my first visit to the city in 21 years. When I was last there, civil servants from the Republic were seen as “legitimate targets” by loyalists as they worked on the peace process which led to the 1998 Good Friday Agreement. Nobody in the city ventured out late at night and the centre used to become deserted after about 7pm. The visible scars have been removed and I found a city, with so much to offer, which has been radically transformed for the better. It may still take some time for the less visible scars to heal. The watchtowers, lookout posts, and British Army bases have been removed but, sadly, people in the nationalist and loyalist communities seldom cross the divide. They may not mix as much as they could, at work, school, play, or in the sports they follow, but everyone seems pretty united in terms of how much better life is today than it was during The Troubles. One of the people I interviewed, Una Murphy, recalled an occasion back in the 1990s when her mother was shocked to see two tourists outside City Hall. 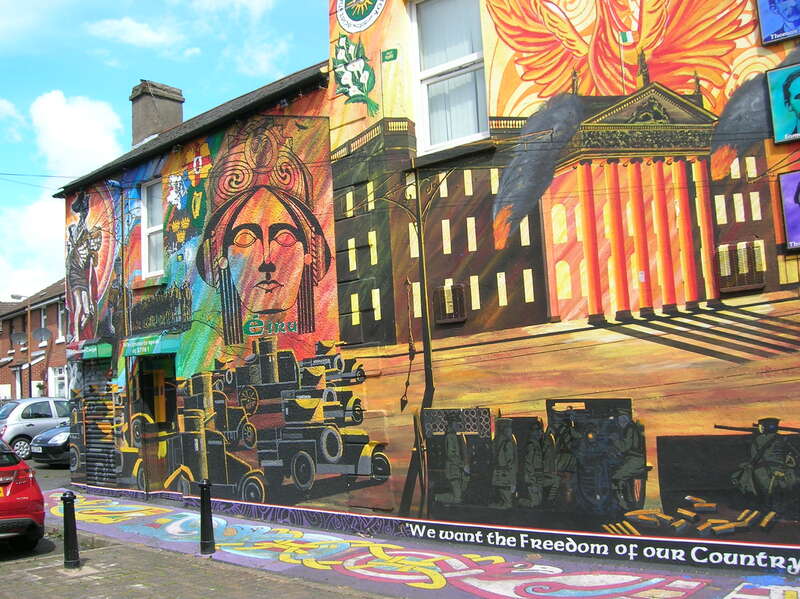 Nowadays, the red open-top busses are full of tourists, the Titanic Quarter is pulsating with energy, and former paramilitarys bring the curious on walking tours of the “hot spots” on the Shankill and the Falls Road. Next Next post: Second toughest at the Irish Blog Awards!